Observe the daily life of local people at the colourful Nyaung Oo Market. Learn about the traditional Myanmar’s handicraft of lacquer ware. 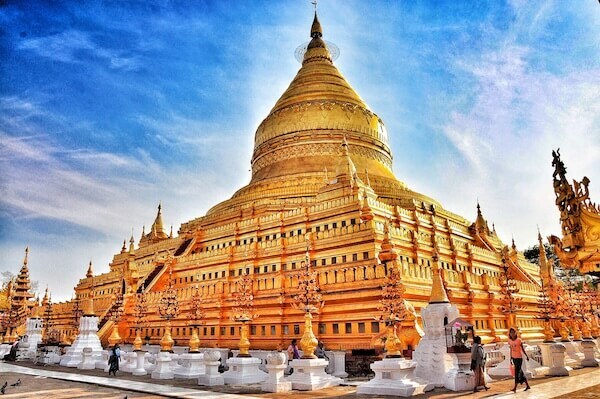 Visit famous religious sites in the region such as Shwezigon Pagoda, Gubyaukgyi temple, Htilominlo temple and Ananda Temple. 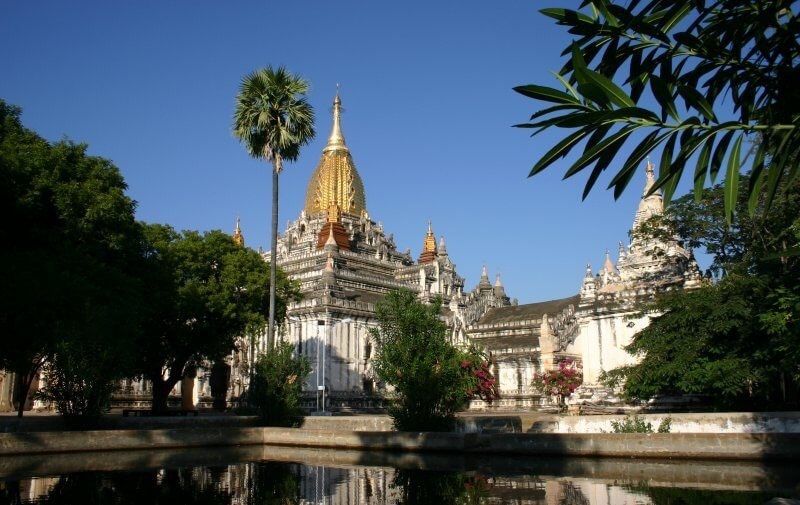 If you feel Bagan is too large to discover by normal bike, let our electric bikes leading you in this adventure. 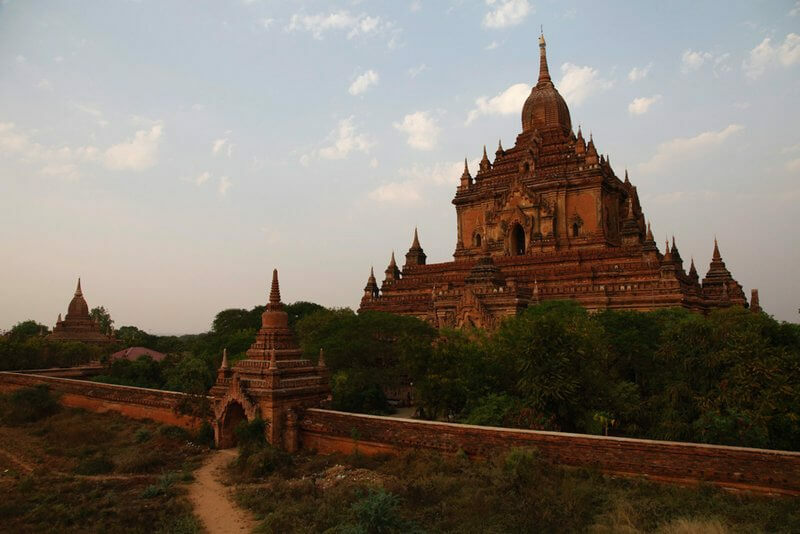 You don’t need to worry about tiredness, just relax and explore the best of Bagan in the most comfortable way. Our tour guide will see you at your hotel. After taking your electric bike and full preparation, we will start an interesting full day tour to explore the mysterious land of temples. Take the first visit at the vivid Nyaung Oo Market where you see the local people come to buy and trade their fresh produce and handicrafts. 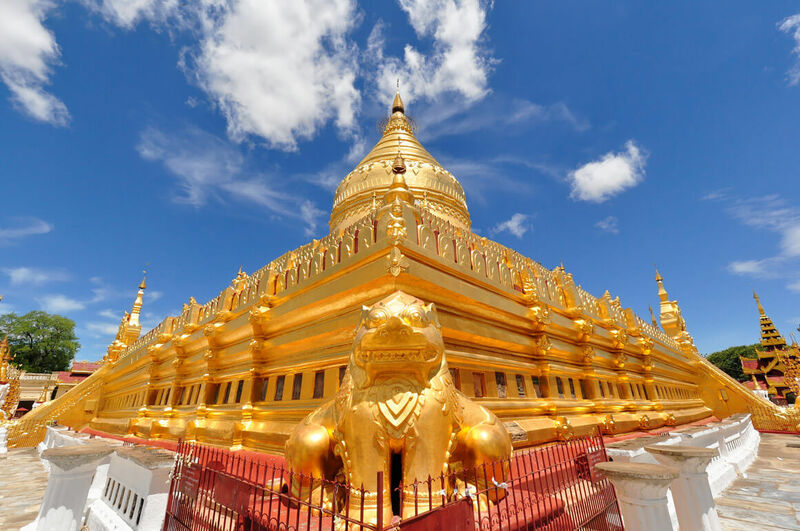 After that, visit the famous Shwezigon Pagoda known for the golden stupa, and Gubyaukgyi, a cave temple hiding the exquisite jatakas murals paintings. 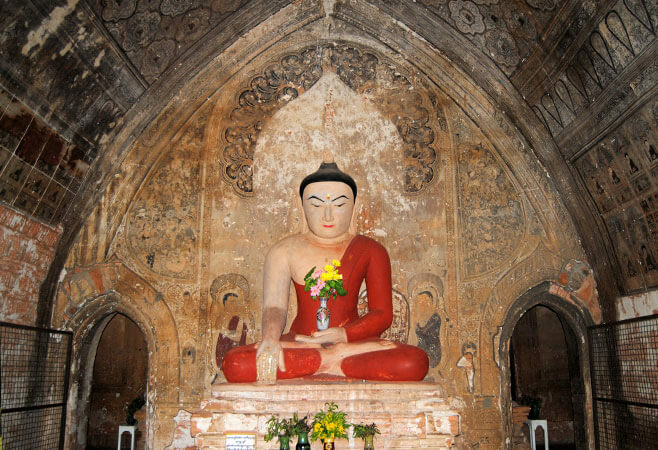 Explore the sacred Htilominlo Temple highlighted with its plaster carvings and glazed sandstone decorations. At around noon, take a break to avoid the midday heat for lunch (your own account) and relax. After a short rest, the afternoon exploration offers chance to observe the process of local traditional Bagan lacquerware, the most famous Myanmar’s handicraft. 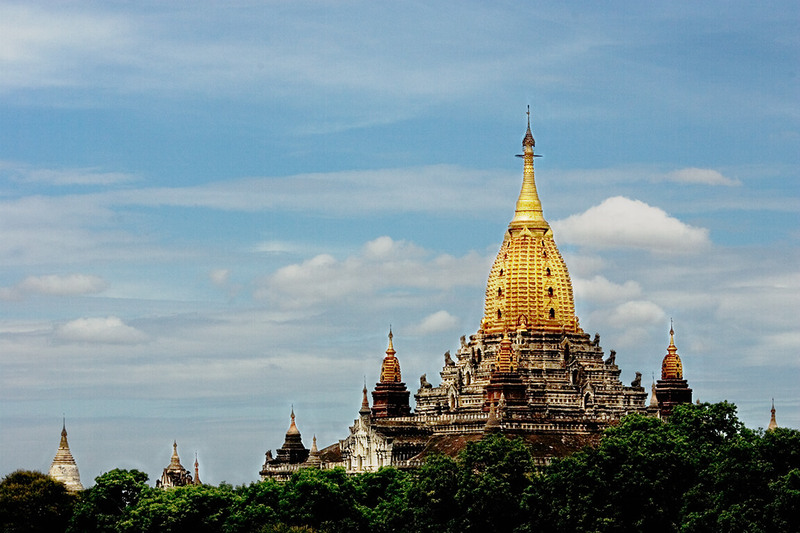 Visit the Ananda temple, an architectural masterpiece showing us the early style of Bagan temple construction. 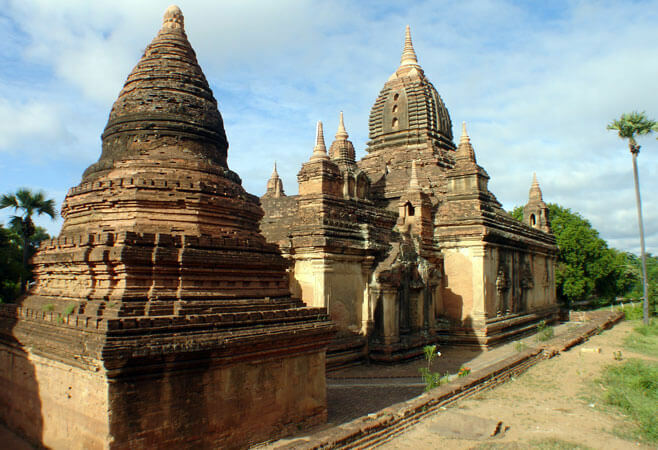 We should not miss visiting the nearby Ananda Okkyaung, one of the few surviving brick monasteries dated back to the early Bagan period. Transfer to your hotel and finish the trip. End of the Bagan Electric Bike Tour! 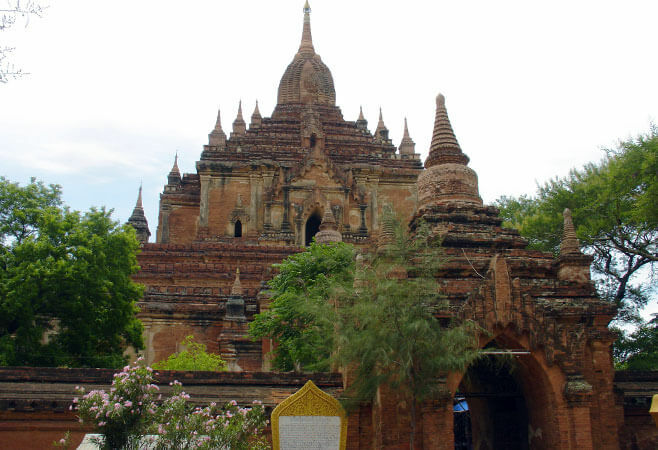 Thank you for your interest in Bagan Electric Bike Tour – Full Day. Please fill in your details below and we will contact you by phone or email within 24 hours.